Photo: Dominica after the passage of Hurricane Maria in 2017. (THE CONVERSATION) After hurricanes Maria and Irma hit last September, it took Puerto Rico until this June to restore water to most residents. Those living in rural and hard-to-reach mountainous areas waited the longest. In Dominica, where 80 percent of the population was hit hard by Hurricane Maria, water service was not restored to the most remote areas until April 2018, several months after the storm. 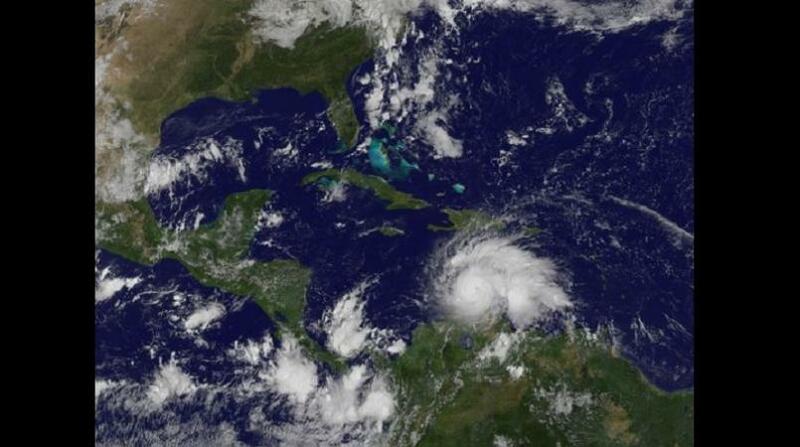 Now, another hurricane season is already underway in the Caribbean. 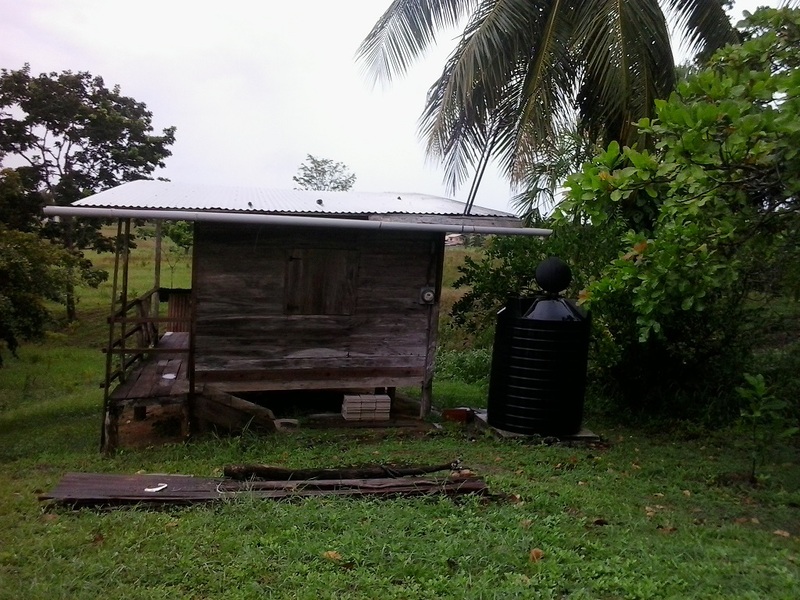 Our research on rainwater harvesting – a low-cost, low-tech way to collect and store rainwater – suggests this technique could be deployed across the Caribbean to improve these communities’ access to water both after storms and in everyday life. 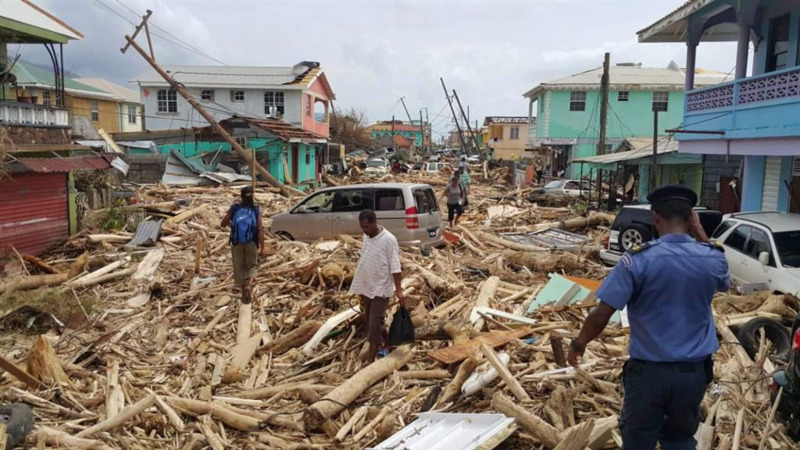 Even before hurricanes Maria and Irma hit last September, some Caribbean islands were unable to provide reliable clean water for drinking and washing to all residents. On many islands, the government utility-run piped water system either does not reach remote rural areas and other isolated areas or costs too much for low-income households. Traditionally, residents in such places have gotten their water from underground sources, such as springs, wells or in the upriver – and thus presumably clean – section of streams. Today, water pollution from a combination of domestic sewage, agriculture, food and beverage processing and manufacturing makes most groundwater unsafe to drink. Up to 85 percent of wastewater across the Caribbean is now discharged, untreated, into local rivers, streams, lakes or straight into the ocean, according to the Caribbean Regional Fund for Wastewater Management, an intergovernmental agency. Rainwater harvesting is an alternative way to obtain and store fresh water. By collecting precipitation that naturally falls on rooftops and sidewalks in a tank, this process turns water that would normally wash away into a resource for cooking, laundry, irrigation and even water-intensive manufacturing. Rainwater, especially during the hurricane season, is free and plentiful in the Caribbean. 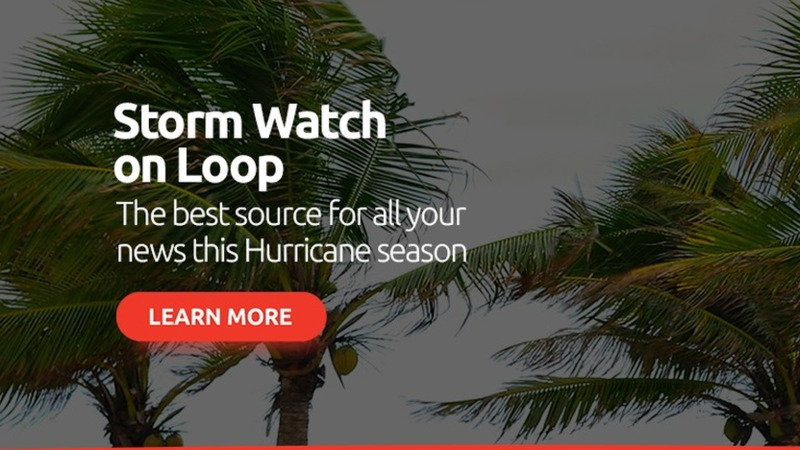 Dominica can get up to 15 inches of rain a month in the fall. Puerto Rico averages 8 to 9 inches of rainfall a month from May to November. Once rainwater is stored in the tank – which can range from 200 gallons for household use to 600,000 gallons in an industrial setting – pipes are connected from the tank into people’s homes, gardens, or wherever they need it. The tanks must come equipped with a built-in filter to clean the collected rainwater, which may pick up various kinds of molds, bacteria and protozoa when it comes into contact with a rooftop. The tank we’re developing for Caribbean islands uses a biosand filter – a container layered with gravel and sand, about the size of a small cooler – to purify rainwater. 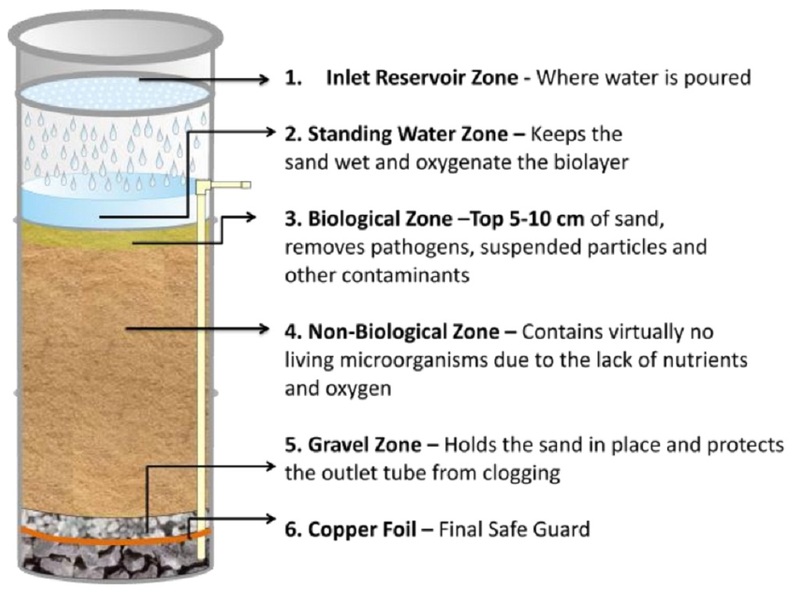 As water travels through the sand and gravel bed, pathogens and particles are filtered out. This process occurs either mechanically – solids get trapped in the gravel and sand – or by predation: Good microorganisms, which naturally live in the sand, consume bad ones. Biosand filters remove up to 96.5 percent of bacteria and up to 99 percent of viruses from rainwater. By the time the kitchen tap is turned on, the water is clean and safe for drinking. The governments of Cambodia, Haiti, China, Thailand, India and Brazil have all deployed rainwater harvesting systems for households and industries to ease rural droughts and urban water shortages in recent decades. Brazil, too, has made remarkable strides in utilizing rainwater to make citizens’ lives easier. In 2003, a public-private partnership called Articulação do Semi-Árido Brasileiro launched “1 Million Cisterns,” an initiative aimed at providing 1 million households located in drought-prone parts of the South American country with easy-to-access harvested rainwater. Semi-arid regions like Pernambuco, a state in the country’s northeast, can go seven to nine months without rainfall. A 4,500-gallon tank – roughly the size and weight of a Greyhound bus – collects enough water during the rainy season that a family of four can live off it for three to four months during drier weather. By 2014, the program had reached its goal of serving 1 million Brazilian households. Read the original article here: http://theconversation.com/harvesting-rain-could-help-caribbean-countries-keep-the-water-on-after-hurricanes-96433.